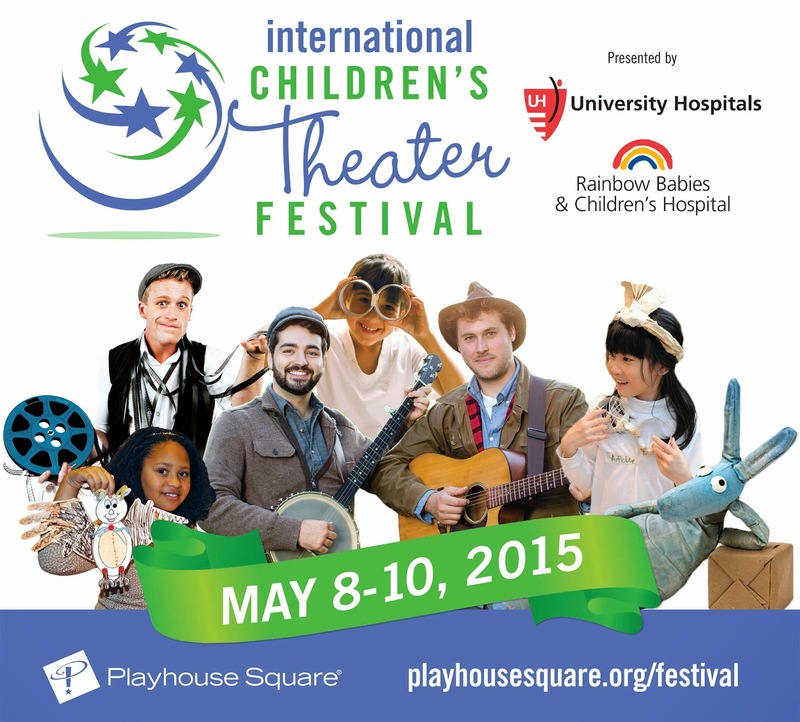 International Children's Theater Festival at Playhouse Square May 8 - 10 + Win Tickets to See Timber! We received tickets to facilitate this review and giveaway. Opinions are my own. Festival season is starting and for our family it starts with the International Children's Festival! Playhouse Square is giving away 4 tickets to see Timber to one lucky reader! Timber is just one of the performances, from around the world, coming to Cleveland for the International Children's Festival. All of the acts at the Festival showcases the country that they represent and are geared towards children and their families. 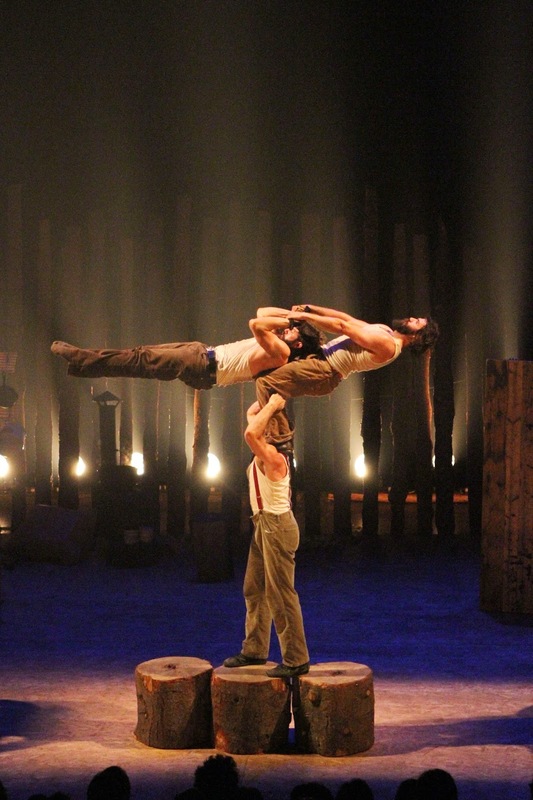 Timber's artists are from Canada and "perform incredible feats of aerial acrobatics that are directly inspired by the natural raw materials of the forest and the equipment used on their real-life family farm." Tickets for the 6th Annual Children's Theater Festival performances are on sale now and range from $10-$15. There are six different performances to pick from over the three days. On Saturday and Sunday the U.S. Bank Plaza will have roaming magicians, face painting, caricature artists, balloon animals, sidewalk chalk art and live music. But, don't miss the puppet station in the Idea Center’s Miller Classroom! The Okee Dokee Brothers band will be performing two shows on Saturday (1:00 PM, 3:30 PM) and one on Sunday (3:30 PM) on the Plaza. The Galleries at CSU (corner of E. 13th and Euclid Ave.) will be hosting "The World Through My Eyes." This exhibit features 25 works of art created by children on the autism spectrum from Rainbow Babies & Children’s Hospital art therapy. In the spirit of traveling around the world, have the kids pick up a Festival Passport at one of the Passport Stations (Connor Palace Lobby, Ohio Theatre Lobby, Lower Level of the Idea Center, U.S. Bank Plaza and The Galleries at CSU) located throughout the Festival and visit each station for a stamp from a Passport Agent. Once completed take your passport to Rothschild Farms and collect a prize. Now is your chance to enter to win four tickets to see Timber on Saturday, May 9 at 1:30 PM at the State Theater via the Gleam form below.